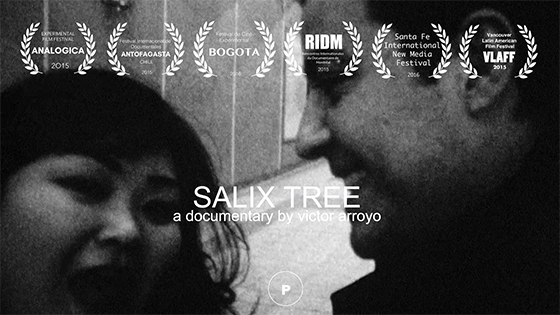 ‘Salix Tree’ is a self-ethnographic document meant to be experienced as a passage between languages,a concentration of voices whose identity remains opaque. Some of these voices materialize into complete translation, while others provide a departure from national identity and its dominant linguistic form. In which language does one self-documents when there is no mother tongue anymore?. When at exile our personal history somehow transfigures into a systematic articulation of mythologies, evoking the imaginary. Is the narrator who is telling the story identical with the narrator about whom the story is being told?. This home movie is not only a place for the transmission of personal history and documentation of kinship affiliations, but is also a place for self-ethnographic practice, colliding family representation with avant-garde pursuits. Super8mm hand processed and scanned to 2k. Color Correction by Oswaldo Toledano. Produced with assistance by Main Film.